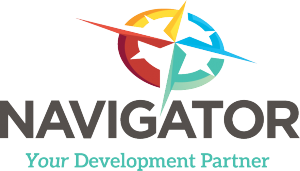 Whether you are a seasoned contractor looking to quickly pull a building permit or a first-time business owner feeling a little lost, the friendly and professional staff of the Business Navigator are here to help. Building permit applications are accepted at City Hall, 100 E. Carolina Ave., in the Navigator Department and online at the below links. For applications submitted online, staff will process and confirm fee before payment is processed. In order to obtain a building permit, the contractor must have a current city business license. Building permits are required when any construction, renovation or repair project exceeds $500. Permit Fee Schedule – Rates are based on the value of the project and vary depending on the type of work performed. Sign and awning permit applications are accepted at City Hall, 100 E Carolina Ave, by the Navigator Department or online at the below link. Construction of new signs and modification of existing signs requires a permit. All sign construction and modification must be approved prior to start. The permit fee is $25. See application for additional requirements. Click to learn more about sign and awning permits. Mural Permits are accepted at City Hall, 100 E Carolina Avenue, by the Navigator Department or online at the below link. The City of Hartsville would like to promote its history and culture through the display of public art using murals. Murals encourage local artists to create sanctioned public art, increase the public’s access to art, and beautify the community. The permit fee is $25. See application for additional requirements. For businesses and organizations looking to stage a special event at a City of Hartsville park, require a road closure, or who need City services for a special event, a special event permit application is needed. Special use permit applications are accepted at City Hall, 100 E Carolina Ave, by the Navigator Department or online at the below link. Special use permits are granted for temporary uses for up to four-month periods (example: fireworks and Christmas tree stands). An application is made for use in a commercial or residential district which is to exceed one month but not to exceed four months. Staff then reviews the application for compliance with zoning and usage rules before recommending such restrictions and safeguards as needed. The permit fee is $75. See application for additional requirements. Sidewalk dining permit applications for establishments in the downtown (B-1) district are accepted at City Hall, 100 E Carolina Ave, by the Navigator Department or online at the below link. As of December 2017, sidewalk dining permits are free for downtown businesses. See the Sidewalk Dining page for additional information. Zoning permit applications are accepted at City Hall, 100 E Carolina Ave, by the Navigator Department or online via the below link. Receiving a Zoning Permit is generally the first step in the development process, followed by applying for and receiving a Building Permit. Zoning Code is oriented toward how a project fits into a community: it regulates setbacks, types of uses, height, parking requirements, design (for some types of projects) and similar concerns. The City is divided into zoning districts and each zoning district will have its own set of regulations. For example, the regulations that would apply in a single family residential district (R-1) will differ from those that apply to the downtown (B-1) district. A zoning and a building permit are required in advance of the initiation of construction, erection, moving, or alteration of any building or structure. All applications for such permits shall be accompanied by a plat of the property and a plan in duplicate, drawn to scale, showing actual dimensions of the lot to be built upon; the size of the building to be erected; the location of the building on the lot; the number of dwelling units the building is designed to accommodate; the setback lines of the buildings on adjoining lots; and such other information as may be required by the officials in determining whether the provisions of this ordinance are being observed. The permit fee is $25. See application and the below fact sheet link for additional information and requirements. Visit our Food Truck page more about operating a food truck in Hartsville, view permit requirements, and download our permit application. Taxi driver permit applications are accepted at City Hall, 100 E. Carolina Ave., by the Navigator Department. The permit fee is $5. Taxi drivers must be affiliated with a company registered and licensed per City ordinance. Learn more about Taxi cab services and permits.